Sarah is an Education Associate at the Tenement Museum in New York City. She was kind enough to speak with me through email and then in person during my time in NYC last May. What kinds of programs do you offer on a daily basis for student field trips? Every day, we offer 3rd person building tours, Costumed Interpretation, and walking tours to students between 10 am and 1 pm. What kinds of programs do you offer for people with special needs or disabilities? What disabilities or disorders do you focus on? We focus on visitors who are blind/low vision, deaf/hard of hearing, and visitors who have mobility impairments. Increasingly, we’re building our toolkit to work with visitors with autism. How do you feel about universal design? Is that incorporated into your exhibit design or programming? Universal Design is where it’s at! We’ve tried to incorporate it into new exhibit development and into our new Visitors Center. As I mentioned, we have induction loops for people who are hard of hearing installed at the ticketing and retail kiosks as well as the cinema space in our Visitors Center. All of our films are open-captioned, and every tour begins with the educator offering an assistive listening device. We incorporate handling objects on all of our public tours, and have extra objects that we bring in for visitors who are blind or low vision. 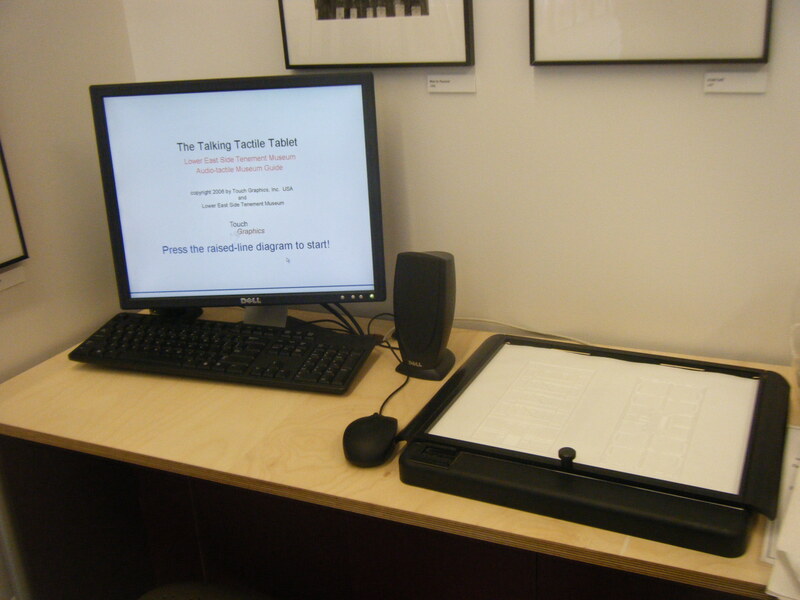 Our newest exhibits are the trickiest, since we are now working on creating a touch interactive exhibit. Designing it with Universal Design in mind has been extremely difficult. What works for one population sometimes makes it less accessible for another population. 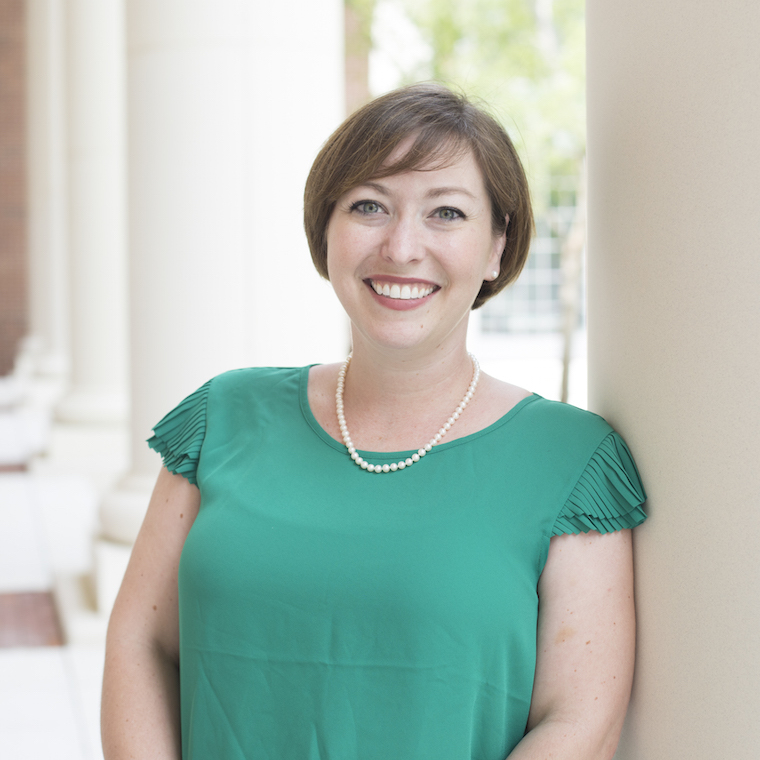 How did you research for program development? In terms of support, I rely on my Museum professionals in the New York City Museum Educator Roundtable, which as an Access Peer Group. I also rely on a series of advisors; our Access Advisory Committee is a group of consultants/advocates drawn from different disability communities in the area. Do you have a specific staff member or set of staff members that you work with on this? Until this year, Access has been an Education department initiative. However, this year I have started a cross-departmental Access Committee to make sure that we are thinking about these issues Museum-wide. What resources did you use outside of the museum (community, consultants, experts, audience members)? In addition to the folks cited above, we also do a lot of focus groups following programs. I’ll pretty much pick anyone’s brain that is willing to talk to me about what they do in their Museum. How do you evaluate results of programming? We have not done a comprehensive evaluation of our access programming. We measure our success through the high rate of return from schools for the deaf and blind. Often, these schools recommend our programming to other schools as well, which we take as a good sign. What kind of sensitivity and awareness programs or training do you have for staff? Every new staff member has Access Awareness training as part of their initial Museum orientation. Follow-up and additional training is available for staff as well. I try to send out as much information as I can about trainings I hear about in the city, and to bring speakers to talk on Access themes at least twice a year. How do you advertise your programming to the public? We post our offerings on our website and create fliers for upcoming events. I also collect e-mail addresses to e-blast former visitors about upcoming events and programs. We also use population-specific websites such as deafnyc and handson.org to publicize our events. The Tenement Museum takes a narrative approach; for instance, they can take an object like a sewing machine and construct the stories of many people through that one artifact. 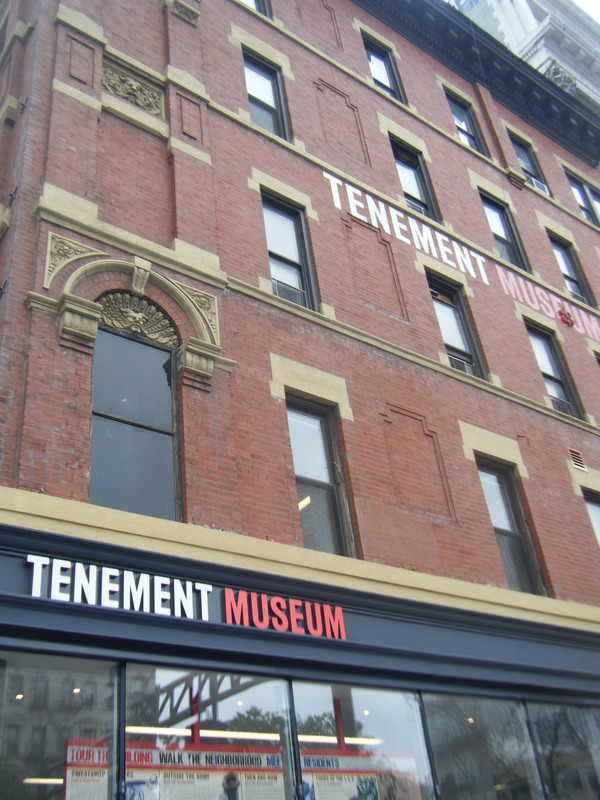 In addition to other accessibility programs, the Tenement Museum offers offsite and distance learning for adults who find the museum uncomfortable or inaccessible. Think about how to make programs more concrete and object based. Always set an agenda and make sure you list what is coming next so students feel comfortable. The museum tried using stress balls for students to focus their energy. The objects were printed with an historical object (sewing machine, objects from every day life) to focus questions and ideas. There were some logistical problems with the stress balls, but they are working on preparing more options. They also provide notebooks or sketchbooks as a visual option for students. The children can use the notebook to sketch things that they think are important to focus their questions and energies. Educators try to talk to the teacher before the visit to evaluate the students’ needs. The Tenement Museum also has a checklist of behaviors that they can look at before visits to know what tactics might work with the student groups that come to visit the site. A BIG thank you to Sarah and the Tenement Museum for allowing me to visit and see the museum programs first-hand. I look forward to sharing my research with you and hearing more about your journey towards new programs.